Honda Cars India Ltd. (HCIL) today announced crossing the 50,000 sales mark of the new-gen Amaze in just 5 months of its launch in India. Honda mentions that the compact sedan contributes to 50 per cent of the total HCIL sales from April to September 2018. This makes the Amaze the only offering from HCIL in India to achieve this feat. The company states that the new-gen Honda Amaze has attracted more than 20 per cent first time buyers, that indicates an increasing aspirational trend among the first time buyers to opt for premium sedans. The 2018 Honda Amaze has been well received across markets with 40 per cent sales from Tier 1 cities and 30 per cent each from Tier 2 and Tier 3 cities. 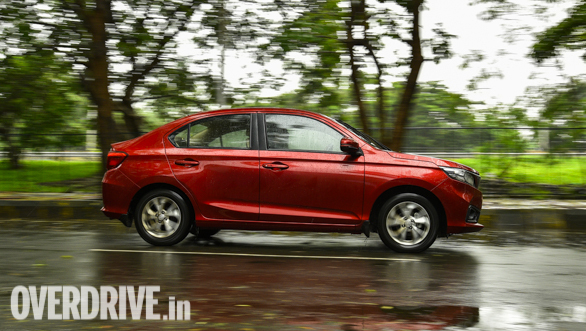 "The overall concept of All New Amaze was to develop a one-class-above sedan for Indian family use that exceeds the expectations of customers in the compact sedan segment. The response to the car with 50,000 sales in 5 months is overwhelming. The advanced CVT technology has found very strong acceptance among customers with 30% of Amaze customers opting for automatic variants in petrol and diesel." mentioned, Makoto Hyoda, Director, Sales and Marketing, Honda Cars India Ltd. The new Honda Amaze benefits from an all-new automatic transmission though, which is a CVT and is being offered with the petrol and diesel versions both. This is the first time Honda is offering a CVT transmission with a diesel engine in India ? outputs for the diesel automatic are lower than that of the manual version at 80PS and 160Nm though. A major highlight on the new Amaze, apart from its all-new design, is the increased space inside the car, as Honda has increased the wheelbase to liberate more leg and kneeroom, particularly at the rear. Inside, the car gets a host of additions to its feature list ? the top end VX version now sports a 7-inch touchscreen that uses Honda's DIGIPAD 2.0 system and offers Apple CarPlay and Android Auto connectivity. With the launch of the new generation Amaze, Honda has reaffirmed its focus on the compact sedan space and hopes the new car will help it elevate the status of the Amaze as a premium yet value for money proposition. The new Honda Amaze competes with cars like the Maruti Suzuki DZire, Hyundai Xcent, Volkswagen Ameo, Tata Zest as also the upcoming, facelifted Ford Aspire in India. 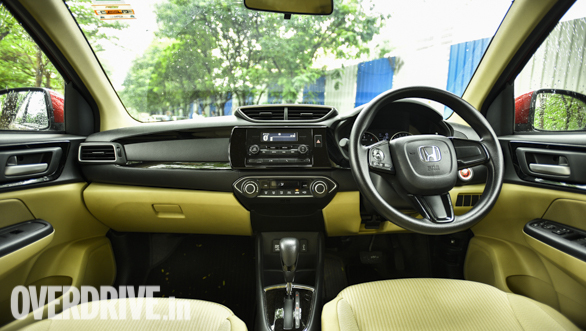 We also have a detailed image gallery of the 2018 Honda Amaze for you!